Add salad leaves to a large serving bowl. Top with sliced pears, roasted pepitas and crumbled goat cheese. Toss with a 1⁄2 cup vinaigrette and serve. These Brussel Sprouts are crazy good. 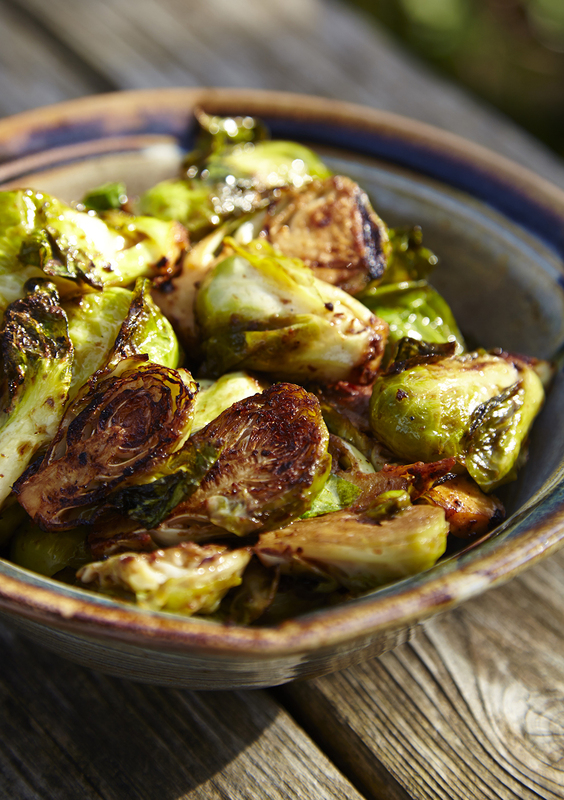 Growing up brussel sprouts on your plate were boiled and bland tossed with some butter. I would eat them but they were never a favorite. Now we have fancy caramelized brussel sprouts with bacon on the menu. My cousin had a party at her house where she served these grilled brussel sprouts. I must have had three servings, I could not stop eating them. She shared her recipe with me, which I promptly lost, but I think I came up with a similar marinade. 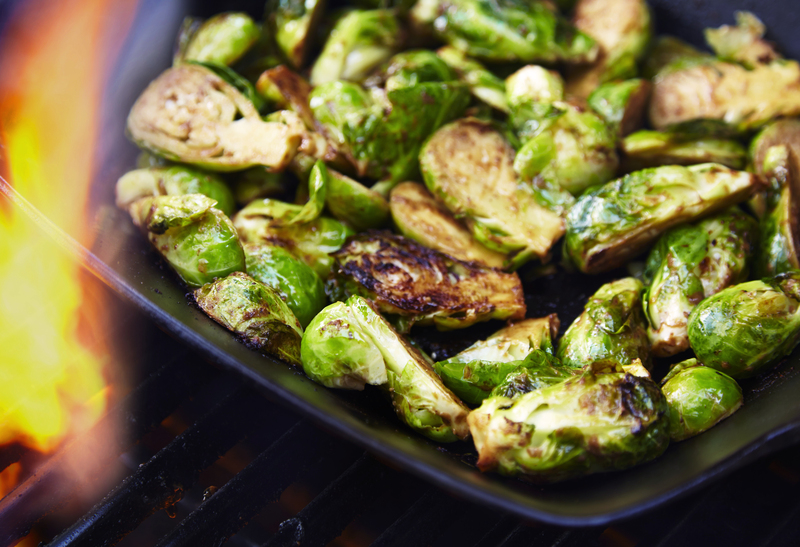 Slice the Brussel Sprouts in half and marinade for at least four hours. The grilling works best if you have a vegie basket that cooks on the grill. I have a cast iron basket, pre-heat the basket on the grill so it’s nice and hot. Toss the brussel sprouts in the basket, hopefully the basket is hot enough to sear the vegies, toss around till done.